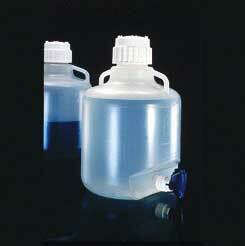 Thermo Scientific Nalgene Carboys with Spigot and Handles, Polypropylene, Model 2319-0130, 50 L Use for storing and dispensing solutions and media. Ideal for sterile water storage - can be autoclaved before refilling to stop recurring algae or bacterial growth. Excellent chemical resistance. Graduated to deliver in 1gal. and 5L increments. 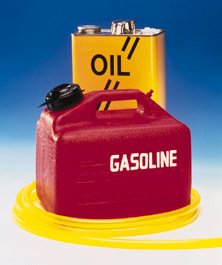 Quick Action spigot boss is molded in one piece directly to the body of the carboy for strength and leak-resistance. Cap size: 83B. Also takes No. 13 1/2 stopper. For replacement caps, see cap 16225-234 in 16219-122 series. Note: Autoclave using a properly vented closure. Disassemble spigot before autoclaving. 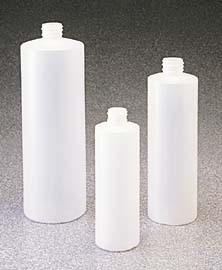 Ordering Information: Supplied with carboy, polypropylene spigot, and screw cap. This is only for Thermo Scientific, Model 2319-0130. It may differ from the image shown in color, features, may be an accessory, etc. Please refer to the model number or contact us if you have any questions. 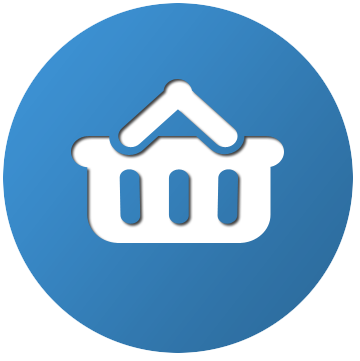 Use for storing and dispensing solutions and media. 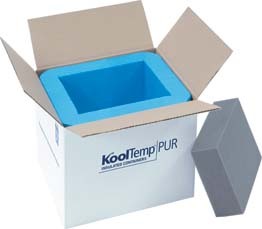 Ideal for sterile water storage - can be autoclaved before refilling to stop recurring algae or bacterial growth. Excellent chemical resistance. Graduated to deliver in 1gal. and 5L increments. 1840 points will be rewarded to you when you buy this item.